“Frederick William Daniel Stoneham was born in Melbourne ca. 1882. 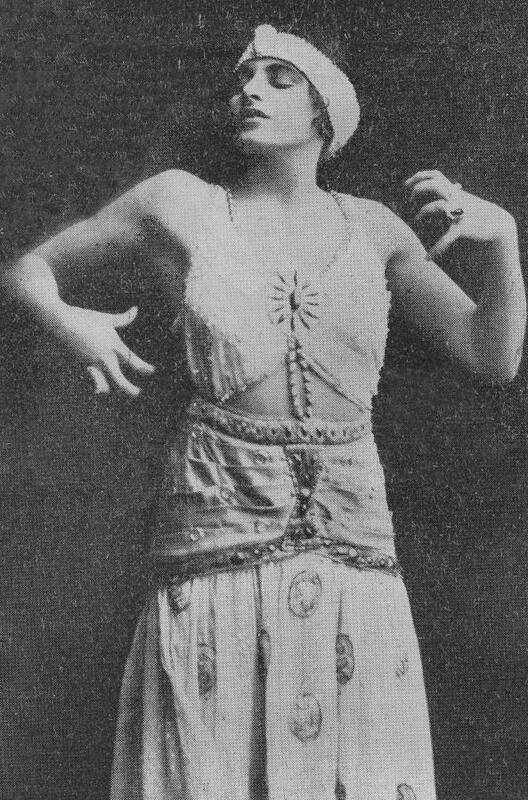 Leslie’s family had long been associated with music and theatre in Australia. His grandfather William Stoneham was bandmaster of the first volunteer band organised in Australia, and a musician with circuses, operas and concerts. His father Fred, and Uncle Will, were successful variety entertainers who performed as the Leslie Brothers in Australia, America and the United Kingdom. As a child, Leslie performed small song and dance parts with them for various companies in Australia, including Harry Rickards’ Tivoli circuit. 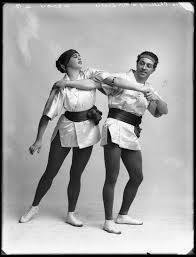 Leslie joined J C Williamson in 1901, where he performed as a dancer and choreographer, as well as in character roles until 1914. 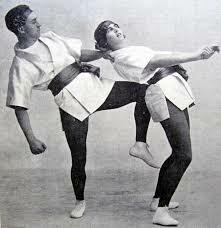 During this period, his main partners in dance routines were Tilly Woodlock, and later, Ivy Schilling. 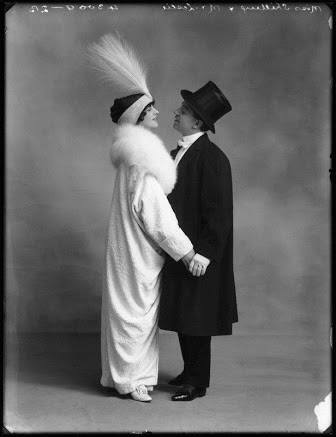 Leslie, his wife Nellie Borthwick (a solo dancer in Pollard’s Opera Company and for J C Williamson’s) plus Ivy Schilling, and Fred and Nellie’s daughter, Maisie, left Australia for Europe in 1914. 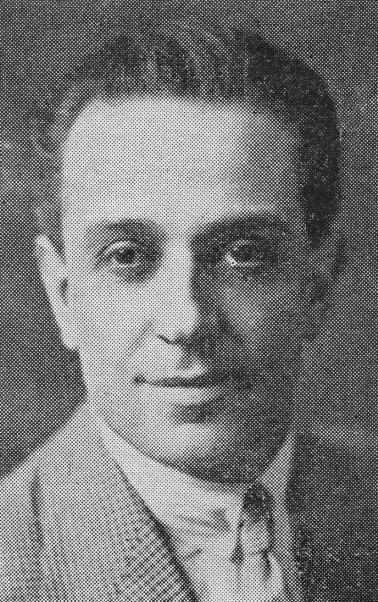 What this article extracted from Fred’s record, care of The Mitchell Library, Sydney, fails to mention, is how famous Fred became in London’s theatre land during world war one, the roaring twenties, the depression years of the thirties, and war torn London of the early forties. 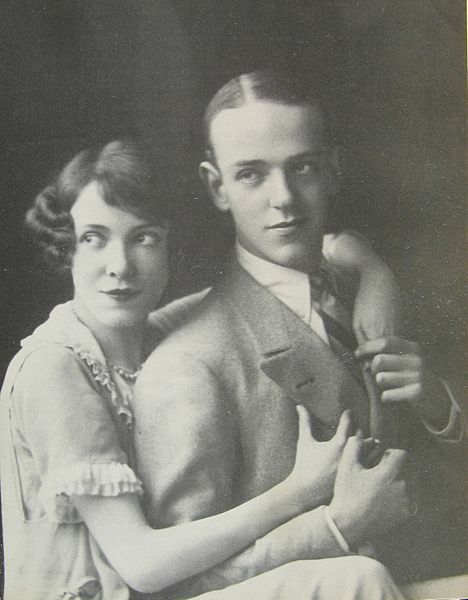 He and Ivy Schilling became the Fred and Adele Astaire of the West End stage, as a featured dance couple in many popular shows. How Fred became known to me was strange in itself. I was at The Mitchell Library, perhaps five years ago, researching my novel in progress, The Dreadnought Boy, in particular, RMS Osterley, the ship that conveyed my principle character to Australia, when I arrived at a reference to Fred, also travelling on the same ship, but a year earlier, and going to England. It seemed that amongst his memorabilia, donated to The Mitchell by members of Fred’s family after his death in the mid sixties, there was a photograph album containing snaps taken by Fred whilst on the voyage. Of course, this roused my interest, so I requested to view the memorabilia which was in store. I was amazed when six cardboard boxes arrived, and continued to be further astounded when I realised I had discovered a treasure trove of first night cards and telegrams, photos, albums, reviews, newspaper cuttings, and dairies. A man’s life in fact. Had I stumbled upon the subject of my next novel, I wondered? Here in these boxes were certainly the bare bones of an idea that I could begin to put flesh on. In my other life, before I became an artist, and then a novelist, I had been an actor, working professionally for almost twenty years on the British stage, lately in West End musicals. My penultimate show was the hit musical, ‘Me and My Girl, ‘ which ran at the Adelphi Theatre, in London’s Strand. As well as playing parts of my own, I understudied three principle actors, one being Mr Parchester, the family solicitor. Sitting in the reserved area for special items at The Mitchell, scanning through Fred’s boxes of memories, I came upon a box of theatrical programmes, one baring the title ‘Me and My Girl’. Now, I was aware that the show I performed between 1988 and 1990, was a revival, the first opening at The Victoria Palace in 1937, then taken out of London to tour the provinces, due to the enemy bombing of the city. Looking down the cast list and credits in the programme, I was astounded to see Fred Leslie credited as being the assistant choreographer, as well as Dance Captain, and more amazingly, understudy to MR PARCHESTER the family solicitor. Here then was a man with which I had a huge amount in common. I would find it easy to jump into his skin, and write his story. When World War Two ended, Fred decided to curtail his long career on the British stage, and return to Sydney, with his wife, Nellie. 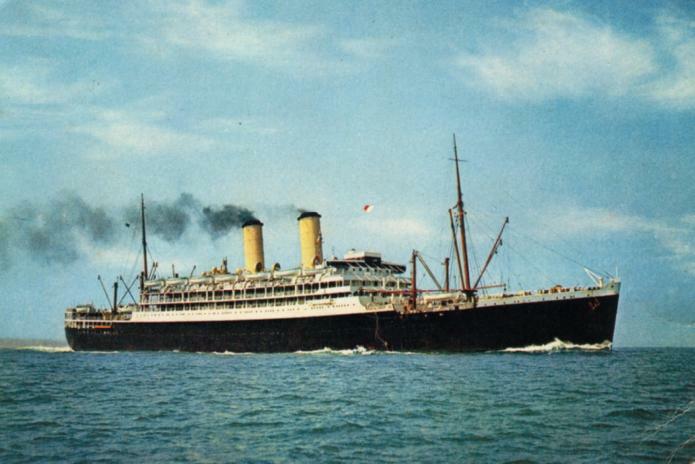 However, sadly, just prior to them sailing, Nellie died, and Fred returned to Australia alone. His daughter Maisie by now had become a successful fashion designer living and working in Sydney, so Fred settled down to a quiet life in a little house in Roseberry, where he died in 1965. For a man who had such a glittering, extended career, both in his homeland, and across the sea, it is a shame his achievements have not been more realised and acclaimed in the country of his birth. Therefore, it’s my burning ambition to bring to light this delightful, talented man, in my next novel, ‘Dance Man’.